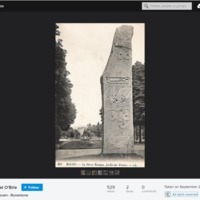 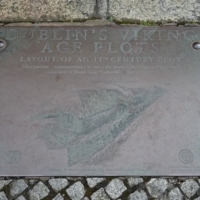 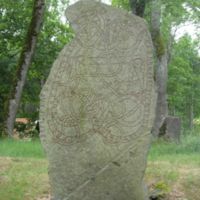 Postcard depicting a modern commemorative "runestone" in the Jardin des Plantes, Rouen. 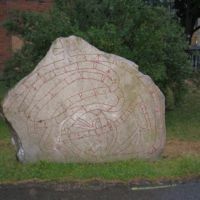 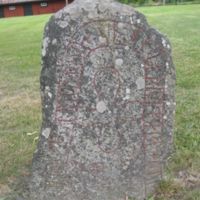 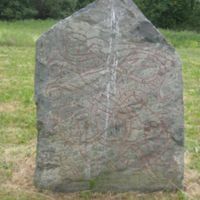 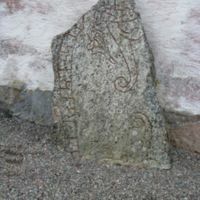 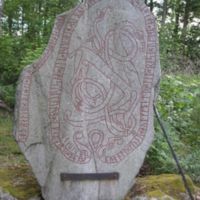 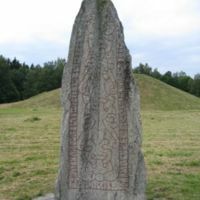 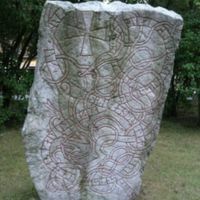 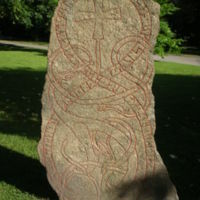 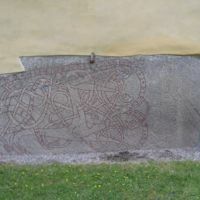 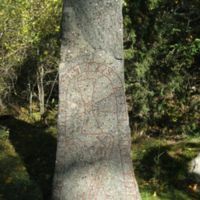 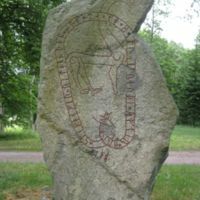 Rune stone from Saltängsbron, Västmanland(Vs 10). 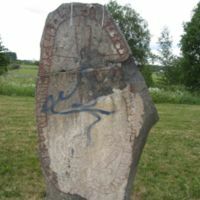 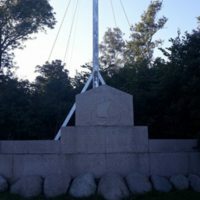 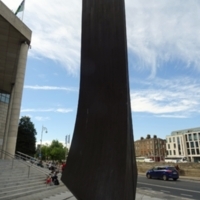 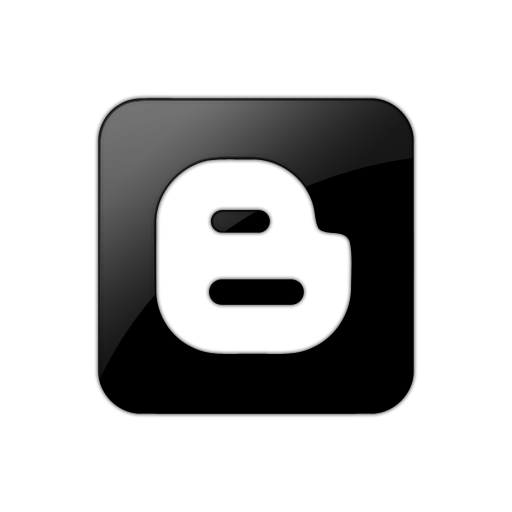 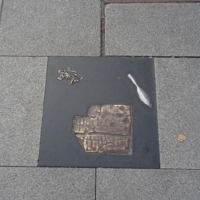 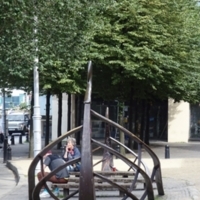 According to theSamnordisk runtextdatabasthe inscription is purely ornamental.